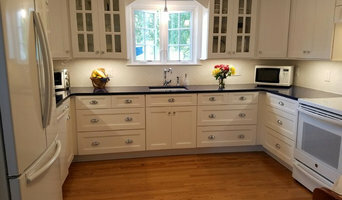 I am an independent kitchen and bath designer based in the greater Hartford, CT area. With a creative eye and attention to detail, I develop personalized spaces that maximize function and comfort. 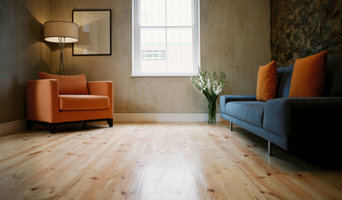 Starr Contracting is a fully licensed and insured company which is family owned and operated by Peter and David Starr. Starr Contracting has been serving the Farmington Valley area for over 20 years We specialize in the design and construction of hardscape projects such as walkways, retaining walls, patios, outdoor kitchens and living areas, landscape lighting and natural stone veneer. We personally design and construct every project with our own hands and pride ourselves on proper installation, attention to detail and customer satisfaction. 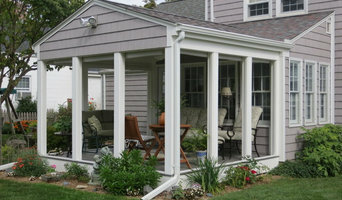 From start to finish you will be working personally with Peter and David to design and construct your outdoor project. Peter and David will provide a free design and estimate factoring in your budget and style preferences. All construction is done personally and with pride by Peter and David Starr and with over 20 years of experience, unparalleled attention to detail and an honest belief in full customer satisfaction, you will be sure to be pleased with your project. Starr Contracting has experience with a wide array of hardscape products from paving stones to all types of natural stone. With a knowledgeable experience and access to many beautiful products, we look forward to designing a project to meet your highest expectations. We really enjoy a simple, clear system. It provides a “map” per se, to the successful completed remodel project that we are all aiming for. We find that following this Design Process assures all of us that the relevant questions, selections, concerns, and communication are being addressed in a logical order. Strong communication starts here and continues through each phase of the project. We will ask a lot of questions–carefully listening to fully understand you & your family, your vision and your fears. Incorporating your dreams, space attributes and/or restrictions, and desired budget is the job of a certified designer. Let us take the burden off of you! Based on our prior discussions, we’ll show you design ideas along with a corresponding budget range that will incorporate your project objectives. Hopefully, we have hit the mark and you are ready to formally start the detailed design process. At Berkshire Hills Design, we provide high quality cabinetry and kitchen and bath designs for discerning clients in the Litchfield and Berkshire areas. We have a contractors warehouse for all your tile installation needs. We are also stocking 3 x 6 and 4 x 12 wall tiles along with 12 x 24 floor tiles. Our kitchen and bath design center will be opening in the fall. We will have kitchen, bath, bar, island, home theater and fireplace displays for you to view. We will be carrying Plain and Fancy, Omega, Dynasty, Homecrest, and JSI cabinets to be sure to fit the needs of everyone. We will also be showcasing a large selection of ceramic, porcelain, encaustic, stone and glass tiles including Artistic, Cancos, Daltile, Happy Floors, Fitgerald, Stone Partnership, Glazzio, among many more. 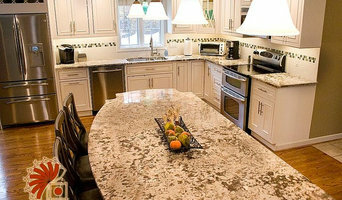 Our counter top selection includes granite, marble, soapstone and quartz, featuring brands like Cambria, Caesarstone, Silestone, Zodiaq, Dekton, and many more. We also have recycled options for you to choose from.